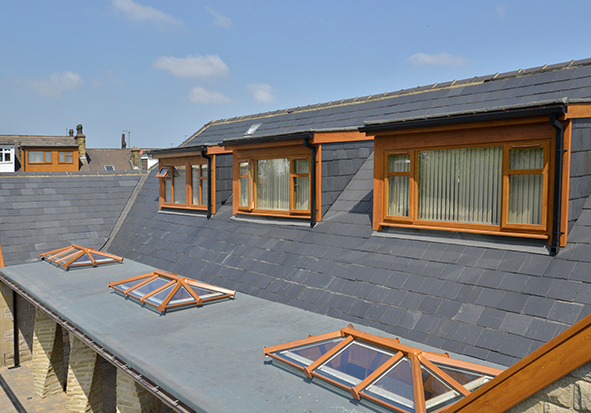 The innovative Skypod is manufactured by our specialist division, Roof Fast. 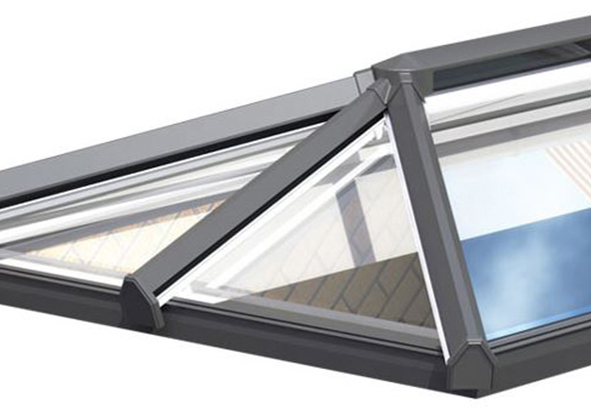 It is the best choice for a modern designed skylight or roof lantern that is thermally efficient and looks great. With slimmer sightlines, it lets more light in and makes rooms feel bigger. 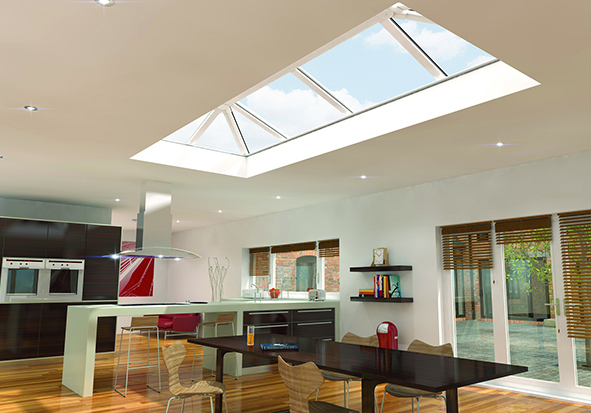 We deliver Skypod Roof Lanterns anywhere within a 30-mile radius of Derby including Nottingham, Leicester, Burton and Mansfield. 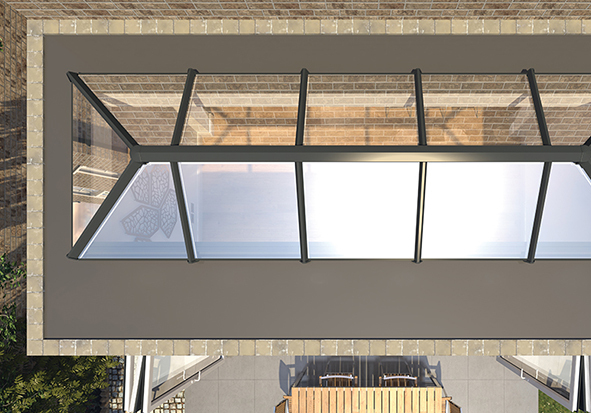 To help installers complete Skypod Skylight installations fast in the local region, we supply pre-built Skypods in sizes up to 2000mm x 4000mm, that installers only need to fit and glaze. Roof fitters and installers can get rectangular and square Skypods in white on white and grey on white. 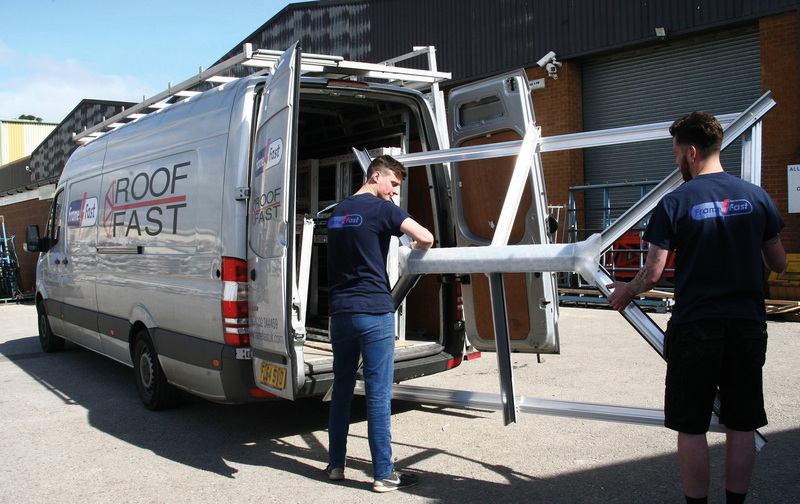 With lead times as little as 10 days, installers can get a pre-assembled Skypod quickly, so they can move onto their next job. 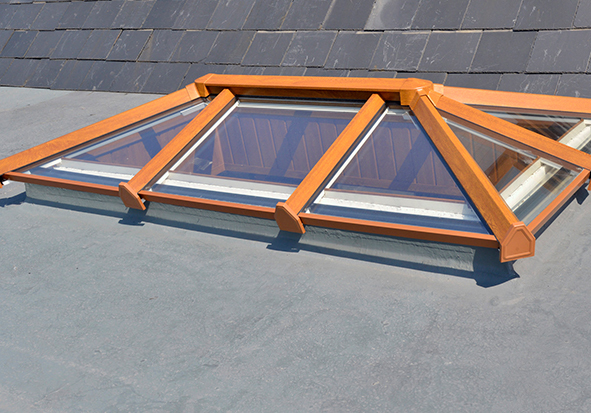 Pre-assembled Skypod skylights can be collected from our trade counter on Ascot Drive, Derby. For conservatory roof fitters and installers looking for a bespoke Skypod skylight to transform a flat roof, we deliver kits direct to site, that are easy to put together. 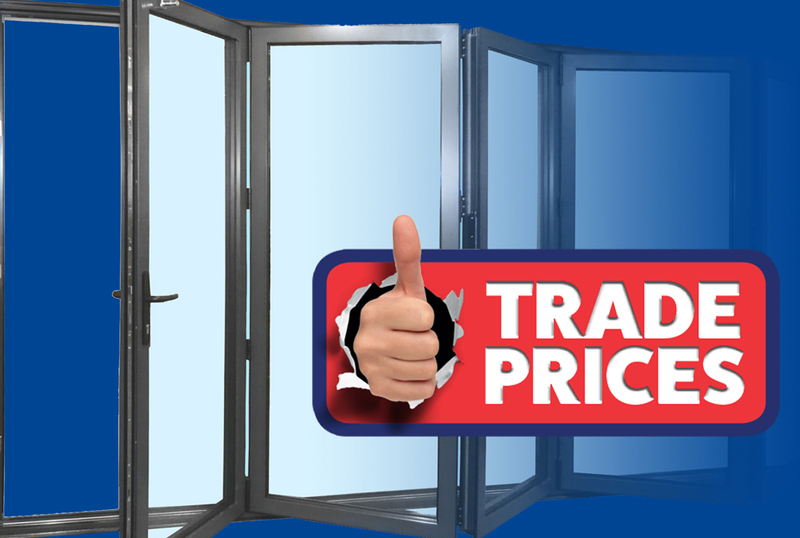 With two bar designs available up to 1500mm x 7450mm and three bar designs available up to 2750mm x 8700mm, installers can work on big projects. There’s plenty of design choice with made-to-order Skypods where you can choose from any RAL colour or you can order from the standard range of colours including Anthracite Grey, Rosewood and Golden Oak. There is also a variety of glass colour options which includes, Clear, Blue, Aqua and Neutral. 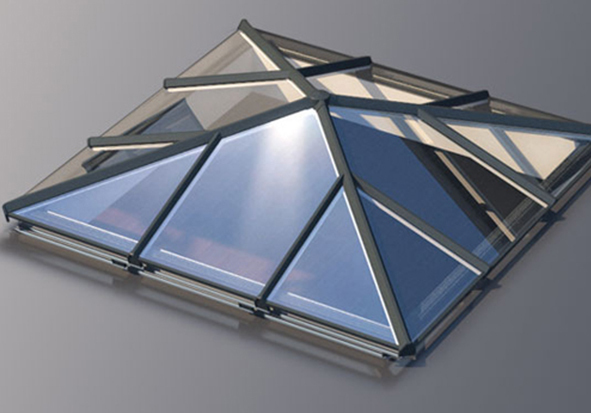 Our Skypod skylight range is a cost-effective way to add height, space and light to a conservatory, orangery, extension or flat roof refurbishment. Every Skypod is designed with fewer components and is easy to fit for fast, accurate installation. It only requires square cuts and there’s no need to mitre or worry about awkward angles, we even pre-drill all the screw holes. Skypod comes with an exact colour-match guarantee. 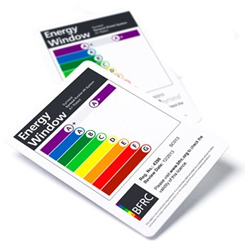 That means the colour is precisely matched to all window, door and conservatory roof products, creating a co-ordinated, consistent look across any property. Skypod has a white internal finish as standard, to maintain a bright, fresh interior. A range of external colours is available to complement existing architectural style, as well as a choice of glass options. Our Skypods offer excellent energy efficiency with a U-value as low as 1.0, so your customers can enjoy the space all year-round and save money on their energy bills. The uPVC capping also helps to insulate as well as matching the appearance of existing windows and doors. 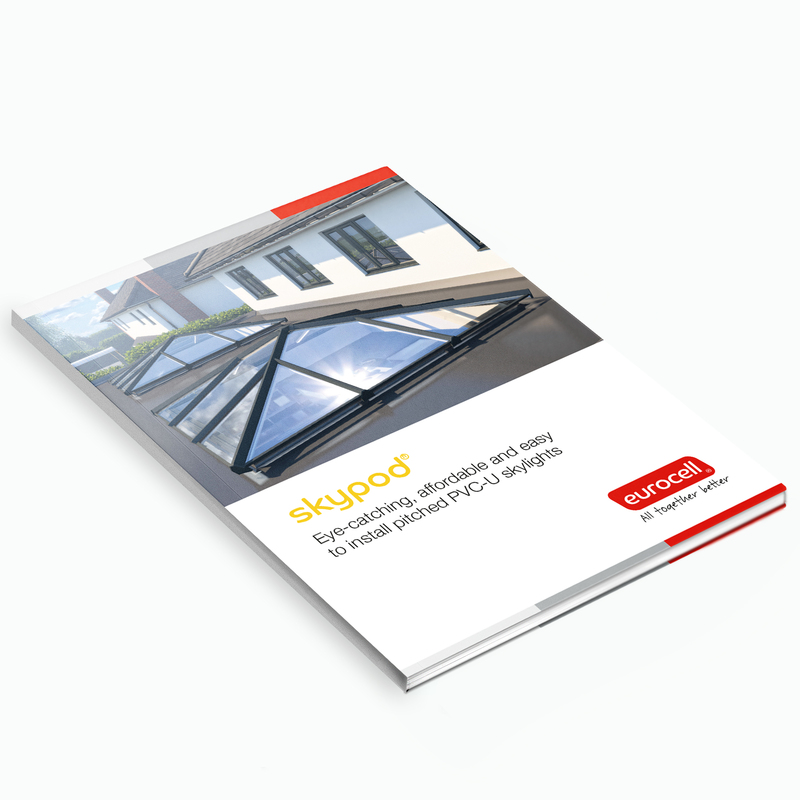 Download your free Skypod guide, here you find a whole range of colours, hardware options and lots more.